The first in a series of features showcasing emerging figures in the classic boat world, people who share a passion for classics and lend their professional skills to our community. 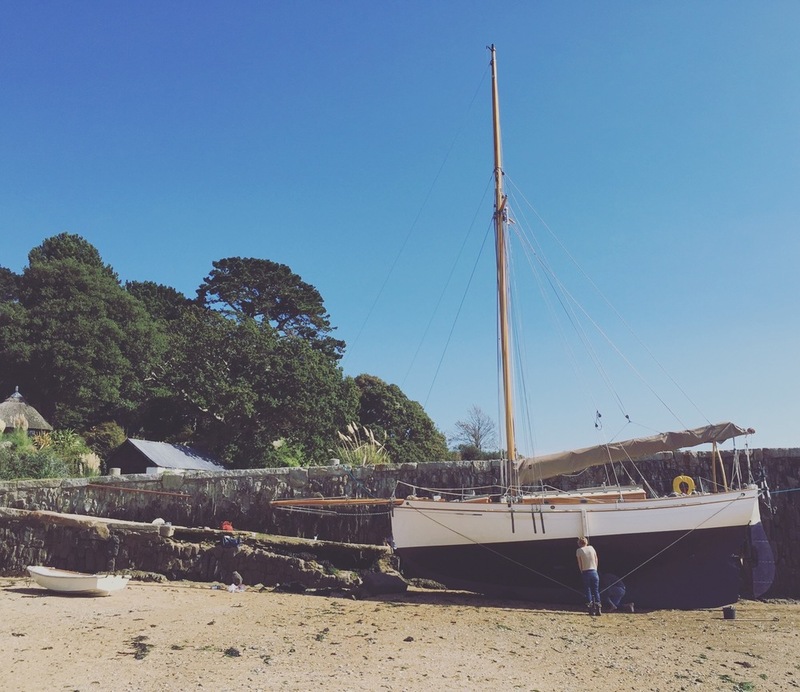 One of Ben’s greatest discoveries is the beauty of the Helford River in Cornwall which he found by nostalgically exploring where his Grandfather – a Second World War Frigate Capt. who hunted U-boats in the North Atlantic – spent his retirement cruising. Ben spent time sailing on the West Coast of Scotland and later worked as an assistant to a cabinetmaker, later he turned his skills from carpentry to establishing a sawmill and bespoke oak framing business in Scotland, sourcing timber from the local estates. The magic of the Helford River must have left a lasting impression on Ben that would lead him to move down there in 2005. There he enrolled at Falmouth Marine School, on to the Traditional Boat Building course. He has been building boats and sailing off the Cornish Coast ever since. In late 2011 Ben built and launched ‘Alva’ a Paul Gartside designed 30ft Gaff rigged cutter, her lines inspired by the quay punts of Falmouth. She is fast, seaworthy and immensely strong, with full headroom and accommodation for three adults and two children. Alva’s construction is larch on laminated pitch pine and steamed oak frames. Cedar decks, cabin-sides and capping rail in Iroko, a Teak cockpit and trim with a Pitch Pine interior and bronze and copper fastenings throughout. Falmouth Quay Punts were Gaff rigged yawls that plied their trade from the Quays of Falmouth carrying supplies to the tall ships entering this important trading port in the heyday of sail. They were sailed by ‘watermen’, out past Lizard Point, competitively jostling to be the first to hail and strike an arrangement with ships needing supplies and to ferry cargo in all weather. These punts had to be built as fast, seaworthy and manageable by a single man who would navigate their way through the fleet of ships anchored in the harbour. Ben built ‘Alva’ in a self-built lean-to that he rented off two Cornish-farming brothers at Restronguet Point. Following on from launching Alva he preceded to mill and season timber from Cornish oak woodlands to build a timber framed home for his young family, taking on other carpentry and small boat build projects in between. Ben says he has enjoyed sailing Alva with friends, and now wants to share these joys with others who come to visit Cornwall and experience a boat that once served ships trading in Falmouth. 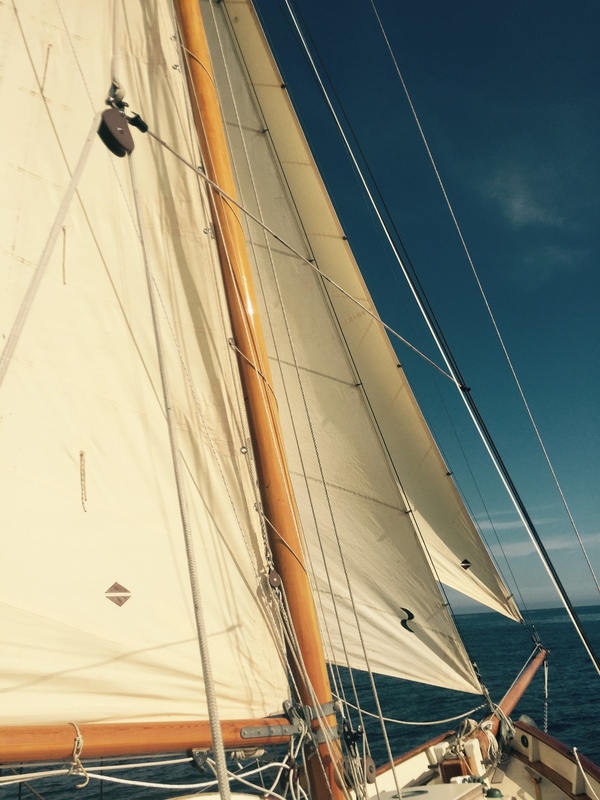 So starting in the 2016 season, he will charter Alva for day sailing trips from Falmouth Harbour. In September 2016, Ben Harris & co will be starting the build of this 28ft gaff rigged cutter. 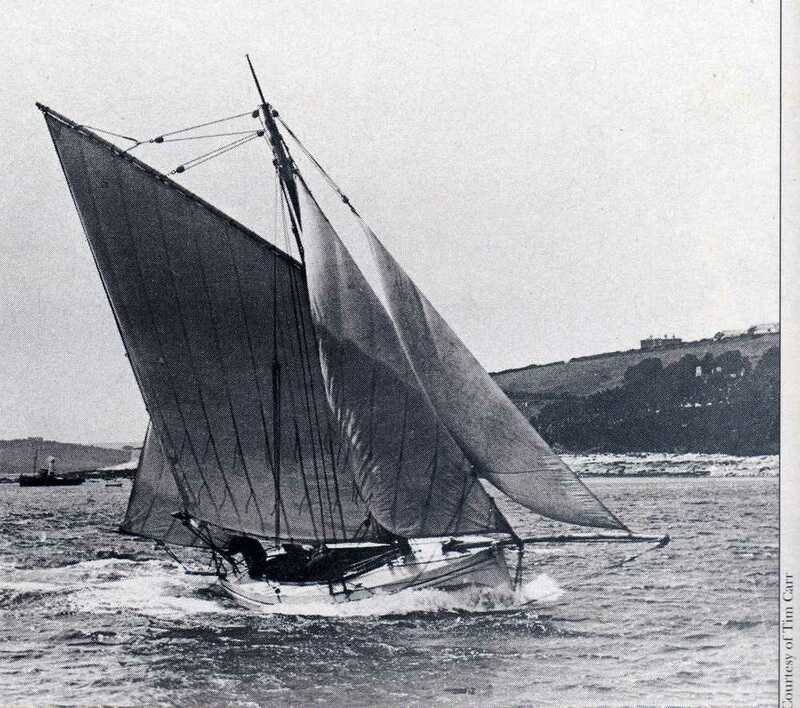 Curlew is said to be the fastest, finest, and farthest travelled of all the Falmouth Quay punts. The project will be an opportunity to train apprentices in the skills and techniques involved in building a traditional Carvel planked sailing boat. Ben Harris & Co will welcome visitors to the project. Ben aims to be able to operate Curlew as a charter boat doing day trips in the Falmouth Bay and Helford River, if the boat isn’t acquired. After being inspired by the Sail Cargo Alliance meeting in 2015 and the feats of Curlew’s last owners, he will also undertake regular runs across the English Channel, carrying Cornish and Breton Cargos back and forth.